What training am I entitled to as a Health and Safety Representative (HSR)? For more detailed information about the courses head to the Training/Courses Available section of this site. I am a newly elected HSR and require training, where do I go? JobSafe SA runs Levels 1, 2 and 3 Health and Safety Training courses for elected HSRs throughout the year. For more information about course dates, costs and subsidy eligibility go to the Training/Courses Available or Training/Course Dates section of this site. Who chooses where I attend my safety training? The Health and Safety Representative has the right to choose where they would like to go to attend training. They must consult their PCBU though, when deciding when and which course they will attend. What training does a deputy HSR need? As Deputy Representatives are required to carry out the duties of the elected HSR in times of absence it is encouraged for all Deputies to attend training. 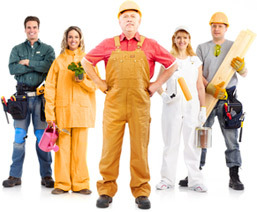 What are my entitlements regarding pay and reimbursement when I attend safety training? Do I (HSR) have to pay for the approved training courses? Can a PCBU stop me as a HSR to my entitlement to attend approved HSR training?